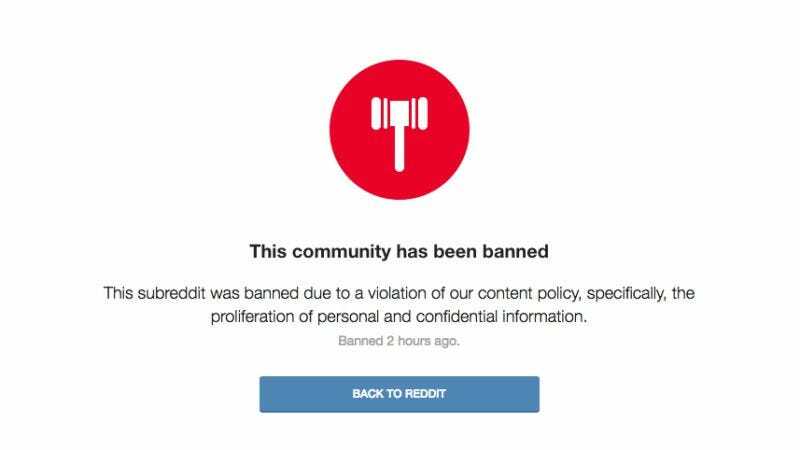 Following in the footsteps of Twitter, which finally got around to banning “alt-right” leaders like Milo Yiannopoulos last year—arguably, long after the damage caused by their presence had already been done—Gizmodo reports that Reddit has banned its “r/AltRight” subreddit, a primary forum where hateful little turds went to make themselves feel better by blaming minority groups for their problems. It’s unclear how many people were actually active on the forum, although a former moderator of the subreddit tells Gizmodo “they typically don’t allow these types of right-wing groups to get much bigger than 20,000 subscribers, and /r/AltRight was rapidly nearing that point.” There’s no way of actually confirming that number now that the subreddit has been banned, however, and the equivalent “v/Identitarian” forum on Reddit alternative Voat currently only has 1201 subscribers. So they seem to be insecure about the size of their forum, basically.